Today I made a trio of Mother’s Day Cards for some important ladies in my life. Luckily each one had a favorite animal and I have a stamp of each animal. The card design is the same for each card; I just changed the colors and animals. 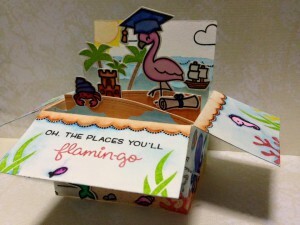 Extra Details: I began by die cutting a panel for the front of each card. I also die cut the word Happy from each panel. While my die machine was out, I die cut three banners from white card stock also. Next, I stamped the images. I used grey ink so that the images would appear softer. I filled in some of the open spaces with the small hearts. 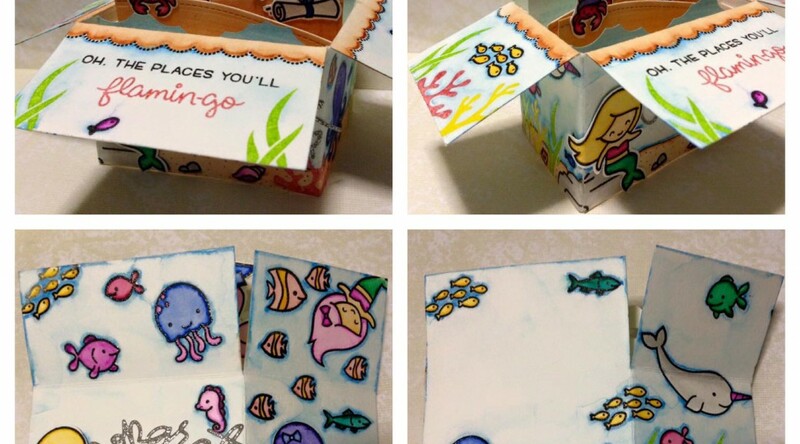 I used colored pencils to color in the images. Then, I adhered the panels to the card bases. I stamped the large Happy in the die cut on the panel, making sure to line it up carefully. 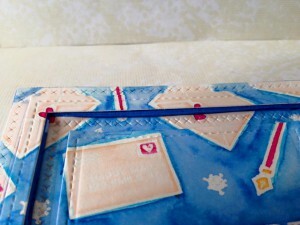 Lastly, I stamped the sentiment on the banner and adhered the banner to the card base. 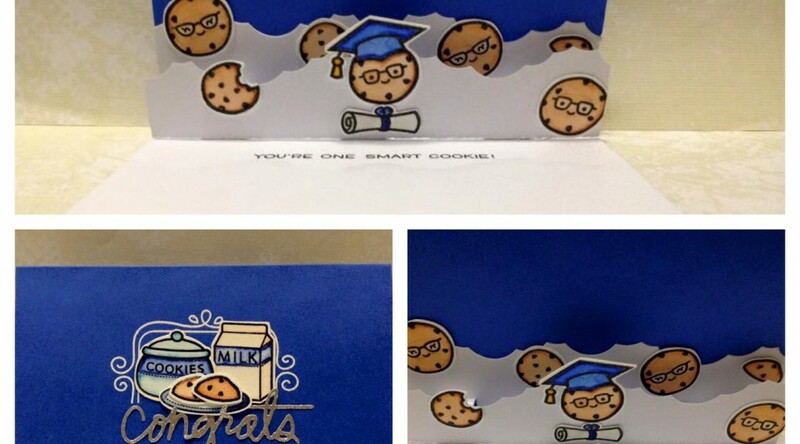 I had to sneak in one more card before Spring Break ended. 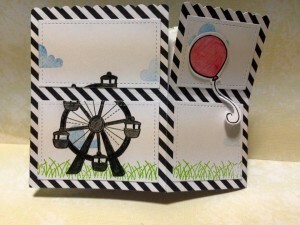 I was inspired by Lori Bassen’s Happy Thoughts card on Simon Says Stamp’s Blog today. I loved her rainbow background and was itching to make one of my own. Extra Details: I began with a white card base. 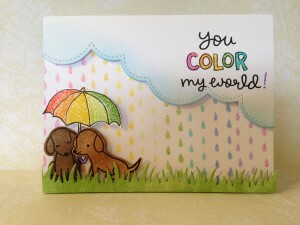 I stamped the rain drops in a variety of Distress Inks. I used second generation stamping to get a softer look. 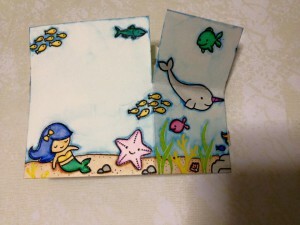 I used the same Distress Inks to stamp the umbrella on a scrap of white card base. I also stamped the dogs on the same scrap. I used a black pen to outline the umbrella. 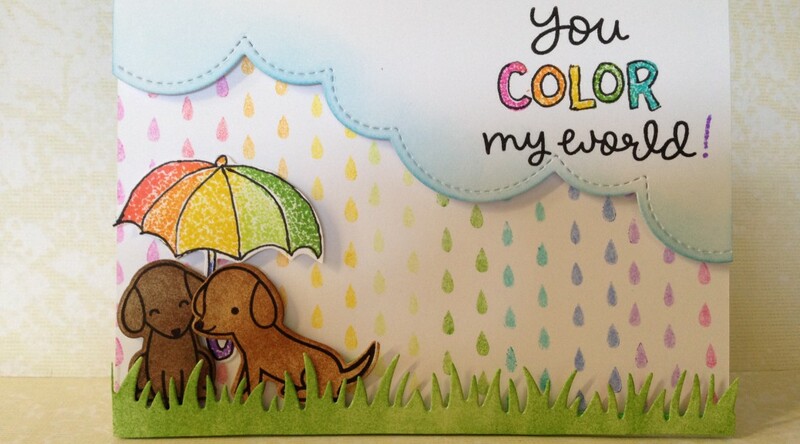 I added color to the dogs using two brown shades of Distress Inks and a Mini Distress Ink Blending Tool. I die cut a cloud border and grassy border from some white card stock. 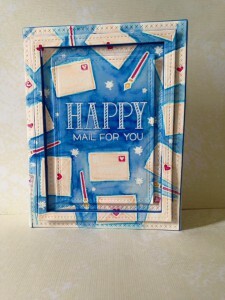 I used Distress Inks and Mini Ink Blending Tools to add color to each border. I also stamped my sentiment on the cloud border. I also outlined the word COLOR as well. I adhered everything to the card base using foam tape. 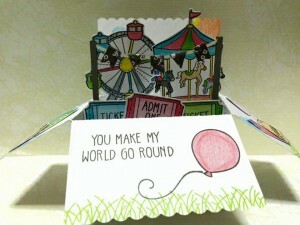 I have been watching way too many scrapbooking videos on YouTube lately. I love all of the beautiful patterned papers. The backgrounds on these cards were inspired by a beautiful patterned paper with chevrons and wood grain that was featured in one of those YouTube scrapbook videos. Extra Details: I began these cards with panels of white card stock cut to 4.25” x 5.5.” I used the “stamp kissing” technique to combine the wood grain and chevrons. I placed both the wide solid chevron stamp and the wood grain stamp on separate blocks. 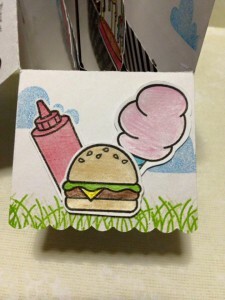 Then, I inked the chevron stamp up with a colored hybrid ink. Very carefully, I stamped the chevron stamp on the wood grain stamp. 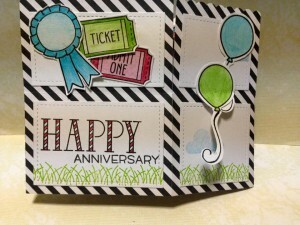 Then, I stamped the chevron stamp on the cardstock, and viola, wood grain in my chevrons. I repeated this process until the white panel was full of chevrons. Once I had “kissed” the chevron to the wood grain stamp, I could see the ink left behind on the wood grain stamp. I used this to create the background for card 2. The ink is much harder to see on the wood grain stamp, so everything is not aligned perfectly. But I like the effect. When the panels were completed stamped, I began working on the rest of the card. I started with a half sheet of white card stock that I covered with 2 banners, leaves, and flowers. I fussy cut out all of the images. Then I divided the images into two piles. I also added “Mother’s Day” to the banners. Next, I die cut the chevron panels with a stitched rectangle die. Then, I adhered a banner to each chevron panel using foam tape. I used liquid glue to adhere all of the leave images around the banner. Once, the leaves were dry, I added the flower images. I used foam dots for the flowers on card 1 and liquid glue for the flowers on card 2. The “happy” part of my sentiment gave me some trouble. I die cut one from white glitter card stock and one from silver glitter card stock. I did not like either of those. 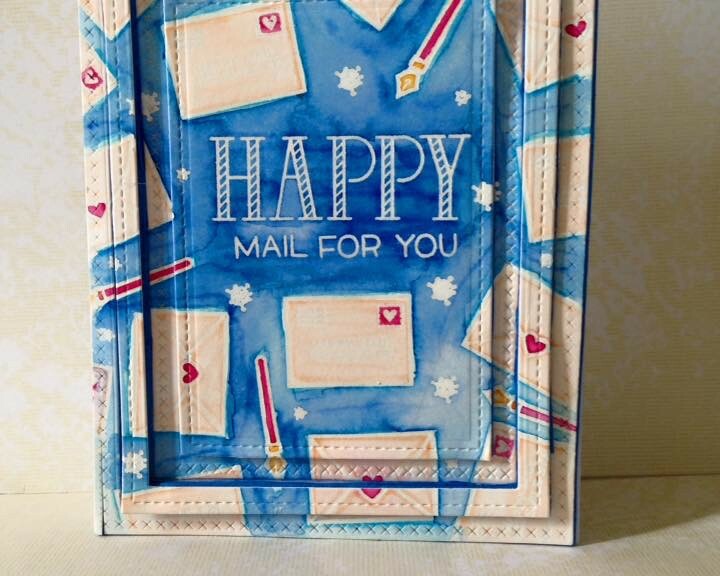 Eventually, I settled on white heat embossing the word “happy” and ink blending over it. 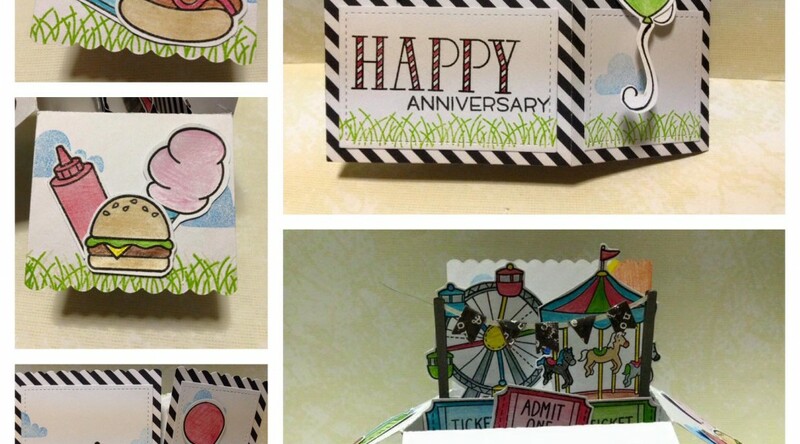 Once, all of that was complete, I die cut the word “happy” and adhered one to each card. Lastly, I adhered the panels to card bases. I used a plain white card base for card 1. I decided on an orange card base for card 2. It looked a little plain to me, so I added a wood grain texture with white pigment ink and the wood grain stamp. 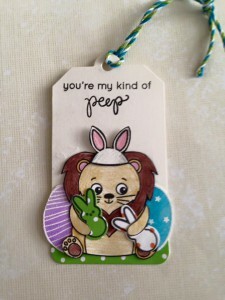 This card was featured on Lawn Fawn’s Blog today, as part of their Fawny Flickr Fridays. Another day of Spring Break equals more time to make cards for me. Here is the card I made today. 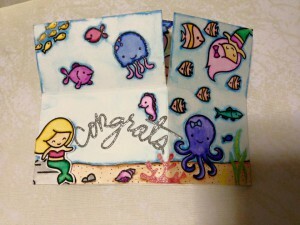 I had a lot of fun with embossing and water color. Extra Details: I started this card with a panel of water color paper cut to 4.25” by 5.5.” I stamped the sentiment and images in Versa Mark ink. I used clear embossing powder. I meant to use white embossing powder but grabbed the wrong container, so I just went with it. 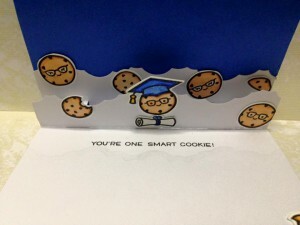 I started with the envelope images, added the pens in some of the smaller spaces. Lastly, I added the ink splatters in remaining open spaces. I used Crayola Fine Line Markers to add the color to these images. Right now I only have 12 markers, so I have to make do with the colors I have. The background is a mix of two blues. I started with the lighter shade, but the sentiment did not stand out enough, so I added the darker shade. I used a raspberry color for the hearts, stamps, and pen barrels. I used yellow for the pen nibs. I used a peachy color for the envelopes. Grey would have been my first choice but I don’t have a grey marker, so I went with the lightest shade I do have. Once the panel was dry, I adhered it to some dark blue fun foam. Using some stitched rectangle dies, I die cut four rectangles from my panel. Then, I began adhering everything to my card base. I started with the largest rectangle. It has one layer of fun foam behind it. The next rectangle has two layers of fun foam behind it. 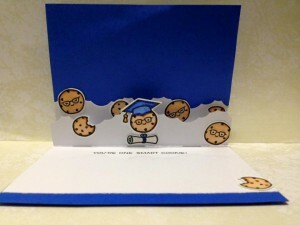 The third rectangle is adhered flat to the card base. The inner most rectangle had one layer of fun foam behind it. Not only does Spring Break mean crafty time for me, it also means crafty time for the kiddos. My daughter was painting today and my son made this card. 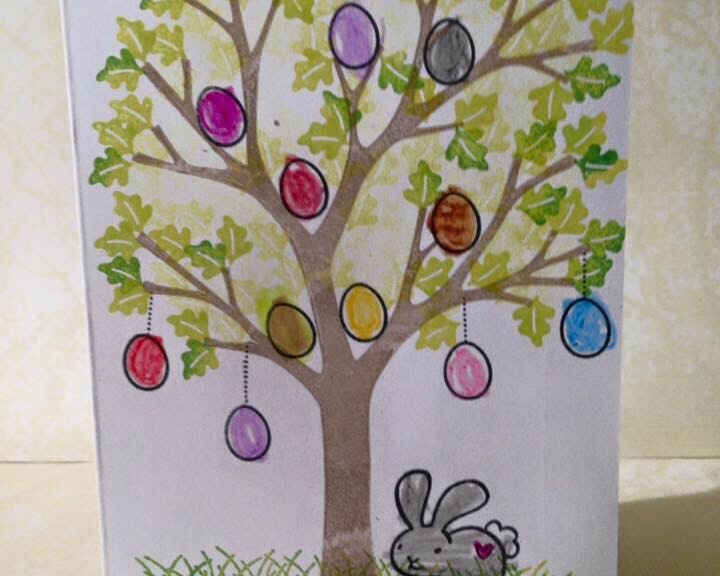 He made this card as a thank you for his aunt who made an egg hunt for us on Easter. Extra Details: This is a one layer card. We just stamped everything on right on the card base. My son colored the eggs with his crayons. I really like the way the leaves turned out on this card. We stamped the leaves on the ends of the branches using two shade of green ink. We did some partial inking to create two toned leaves. 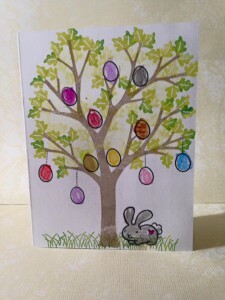 Then, we used second and third generation stamping to fill in the areas behind the branches and eggs. 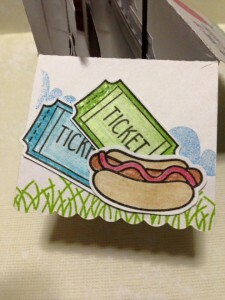 I would ink the same leaf stamp with the light green ink, stamp it on my scrap paper once, and then stamp it two or three times on the card base. I think it gave the card a super cool dimensional look. 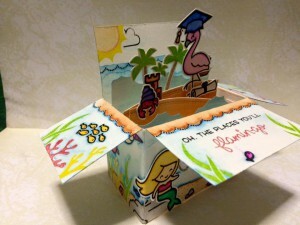 Spring Break means lots of fun card making! I made two cards today. They have similar techniques and design details. For the alicorn card, I die cut a stitched hillside from some more water color paper. I stamped the sentiment in black ink and clear heat embossed it. Using Mowed Lawn Distress Ink, I blended just a bit of green to the area where the alicorn would be standing. I adhered the hillside with two layers of fun foam in the middle and just double sided tape at the edges. I really like the dimension that created. 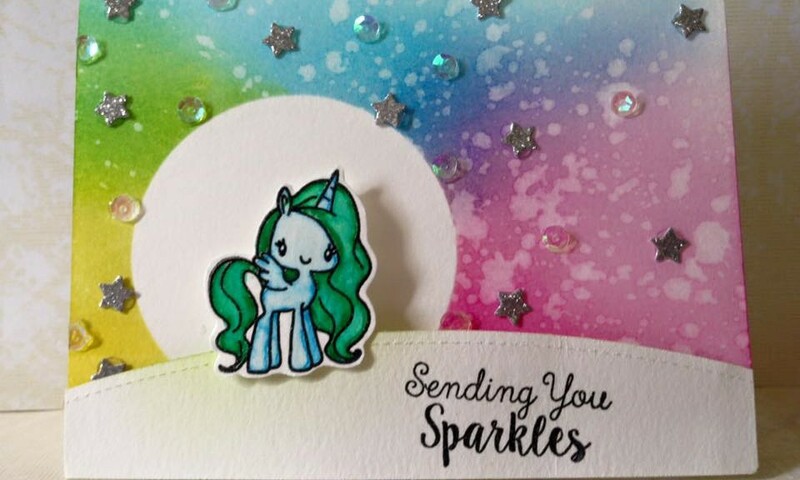 For the fairy card, I masked off the rainbow and used some cloud border die cuts as masks to create the rest of the background. I used Salty Ocean Distress Ink. 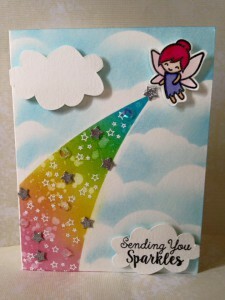 I added some stars with white embossing powder to the rainbow area. I made a mistake when stamping the sentiment on this card. Apparently, white embossing powder and black ink do not mix well. 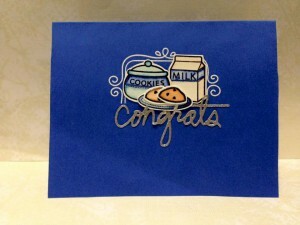 To cover my mistake, I stamped a cloud and re-stamped the sentiment and used clear embossing powder this time. I added a second cloud to help cover my mistake. Next, I stamped the alicorn and fairy on a scrap of water color paper. I clear embossed these images also. I used Crayola Fine Line Markers and a water brush to water color these images. Once they were dry, I fussy cut them out leaving a small white border. 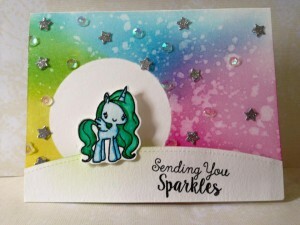 I adhered the alicorn and fairy to each card using dimensional glue dots. I also added some silver glitter stars and sequins to the rainbow areas. I love the way these cards turned out. Distress Inks in Mowed Lawn, Mustard Seed, Peacock Feathers, Picked Raspberry, and Salty Ocean. I was short one Easter tag. 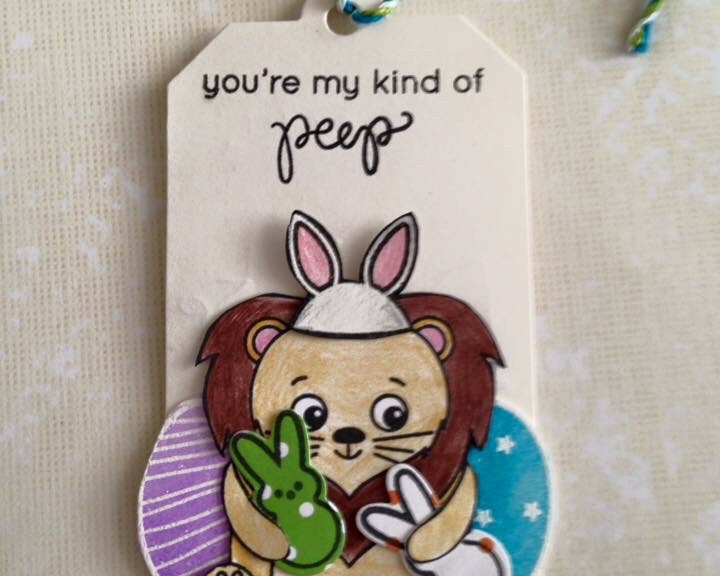 I whipped this one up quick to give to an aunt who loves lions. Extra Details: I found most of these images in my box of pre colored and cut images. I only had to die cut a white tag and stamp the sentiment. Hope you enjoyed the tag.